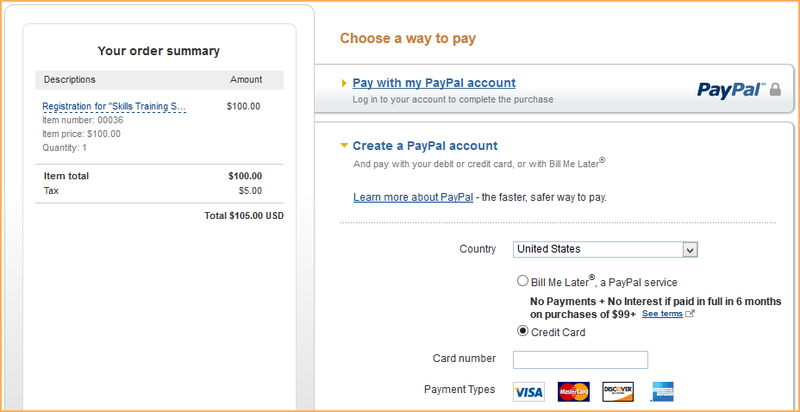 PayPal Express Checkout is a payment method you can use to accept online credit card payments on your website. You can use it for one-time payments or recurring payments. 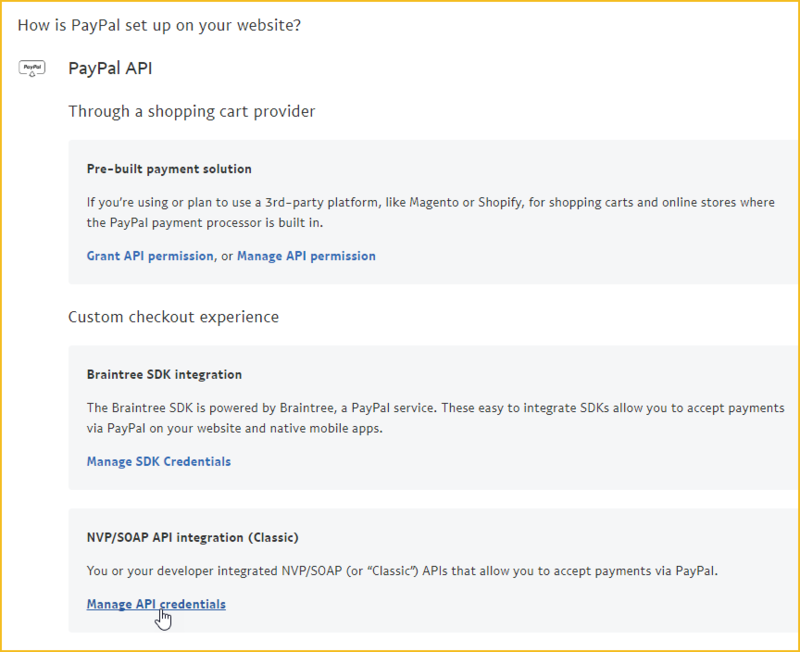 Before you can set up your Wild Apricot site to work with PayPal Express Checkout, you must set up an account with PayPal. When a visitor fills out an integrated online form on your Wild Apricot website (e.g. membership application or event registration) and chooses to pay online, they will be redirected to PayPal's site where they can use their PayPal account or their credit or debit card to make the payment. To accept online payments using PayPal Express Checkout, you must have a Business or Premier PayPal account. 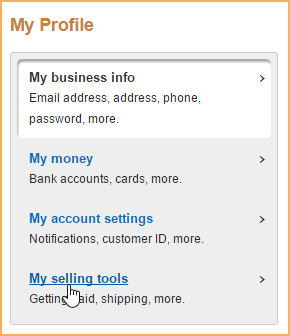 See PayPal account setup for recommended account settings. If you want to set up recurring payments for membership fees, you must enable instant payment notification (IPN) in your PayPal account. For instructions on enabling IPN, see Recurring payments. 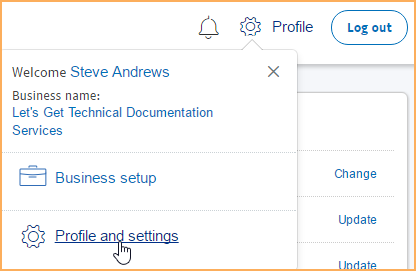 Click the Profile option, then Profile and settings. 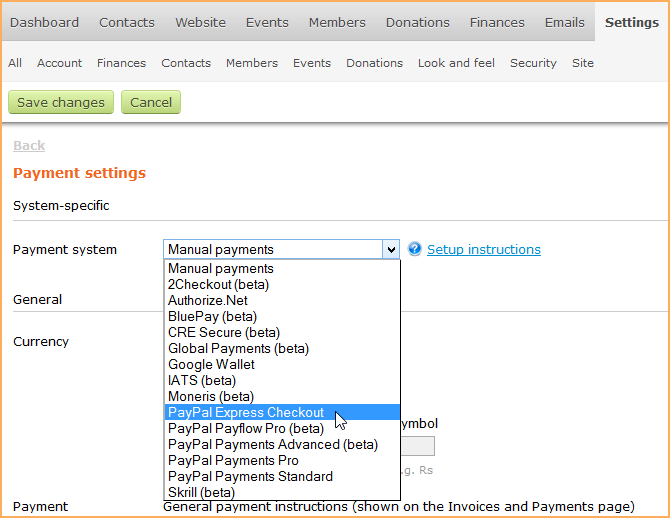 Click the Payment system drop-down list and select PayPal Express Checkout. Click Validate account to make sure your PayPal Express Checkout account details are valid. If the account validation fails, check to make sure you entered the account details properly.